The trial of former Mines and Mining Development Minister Walter Chidhakwa and his former permanent secretary Francis Gudyanga has been scheduled for September 11 at the Anti-Corruption Court in Harare. The two, who are represented by Mr Tafadzwa Mavhimi, were advised of the date yesterday when they appeared before magistrate Mr Milton Serima. They are out on $800 bail. 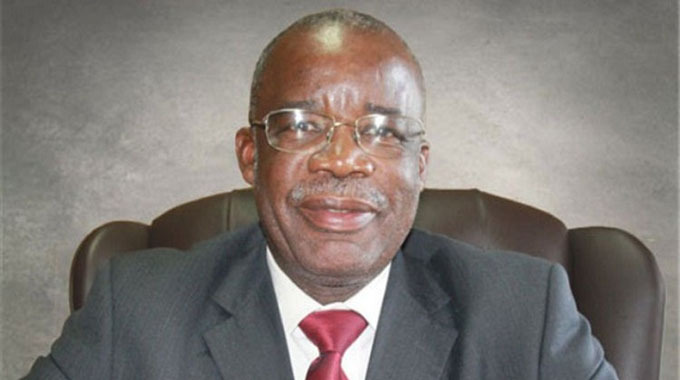 Prosecuting, Mr Sebastian Mutizirwa alleged that in May 2015, Gudyanga, who was the permanent secretary in the Ministry of Mines and Mining Development, thus being a public officer, received appeal correspondence from Mr Ronald Mugangavari against a determination by Mr C. Phiri and Mr T. Paskwavaviri, the provincial mining commissioners for Masvingo and Midlands, respectively over a claim ownership case. The appeal was allegedly in connection with the mine claim ownership dispute between Midway 21 Gold Mine, owned by K & G Syndicate represented by Mr Herbert Hwekwete, and Clifton 15 Mine owned by Mr Mugangavari. The dispute allegedly involved issues to do with the mine boundaries. Chidhakwa and Gudyanga, acting in common purpose, with full knowledge that they did not have jurisdiction to deal with such an appeal, allegedly nullified the determination in favour of Mr Mugangavari. The court heard that according to the Mines and Mining Act, appeals against a determination by a mining commissioner are handled by the High Court. The alleged unlawful decision by Chidhakwa and Gudyanga on the appeal resulted in Mr Mugangavari unlawfully returning to the mine to continue mining. On July 4 last year, Mr Mugangavari allegedly attempted to kill Mr Hwekwete, the co-owner of K & G Syndicate, when he shot him together with his cousin, Robert, in both legs and the left hand respectively. The shooting, the court heard, took place after the two had visited the mine. Mr Mugangavari allegedly continued to deny the rightful owners access to the mine on the basis of the determination by Chidhakwa and Gudyanga.